finally I'm done with this sweater which I posted on my instagram the other day! 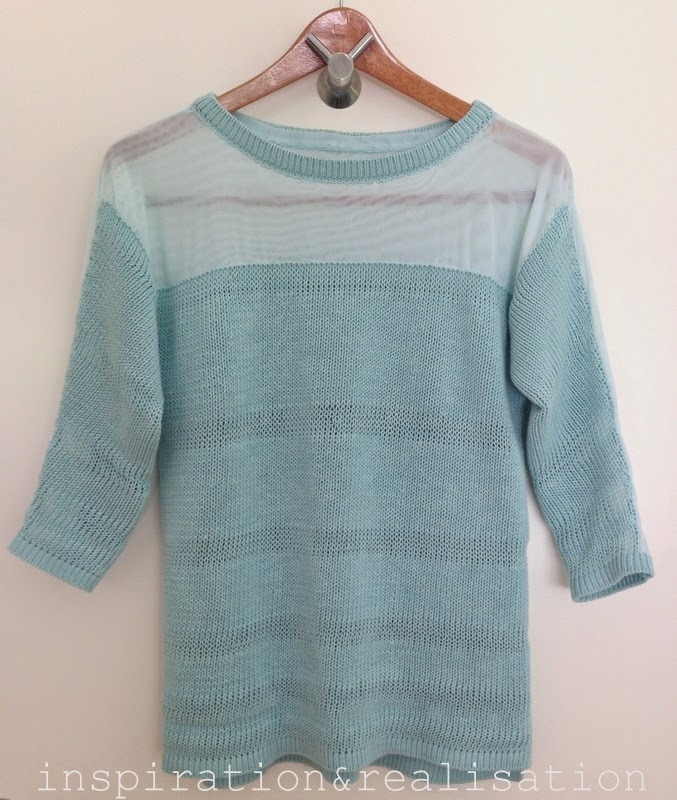 The inspiration comes from a large selection of knits on this pinterest board. 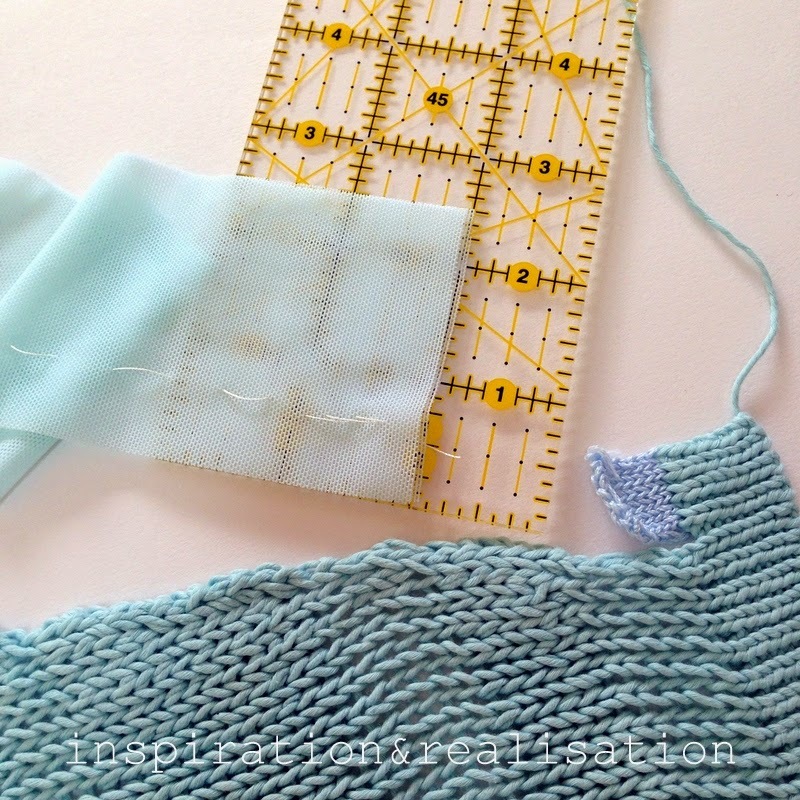 I used a cotton yarn that I purchased about two years ago for a project that never happened. I thought I would hand-knit the yarn, so I had it already doubled... So I had to figure out a work-around to be able to machine knit with it. I separated a small amount of the yarn in two strands. 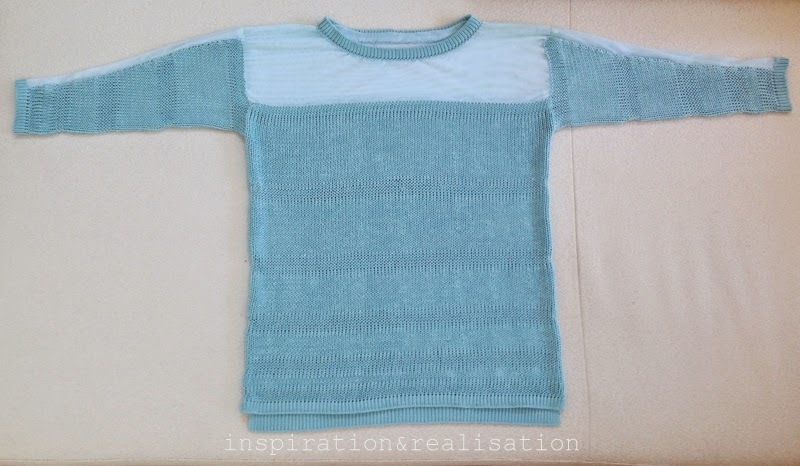 The 1 ply yarn has been used for the 1:1 ribbing and for the lighter stripes across the sweater. 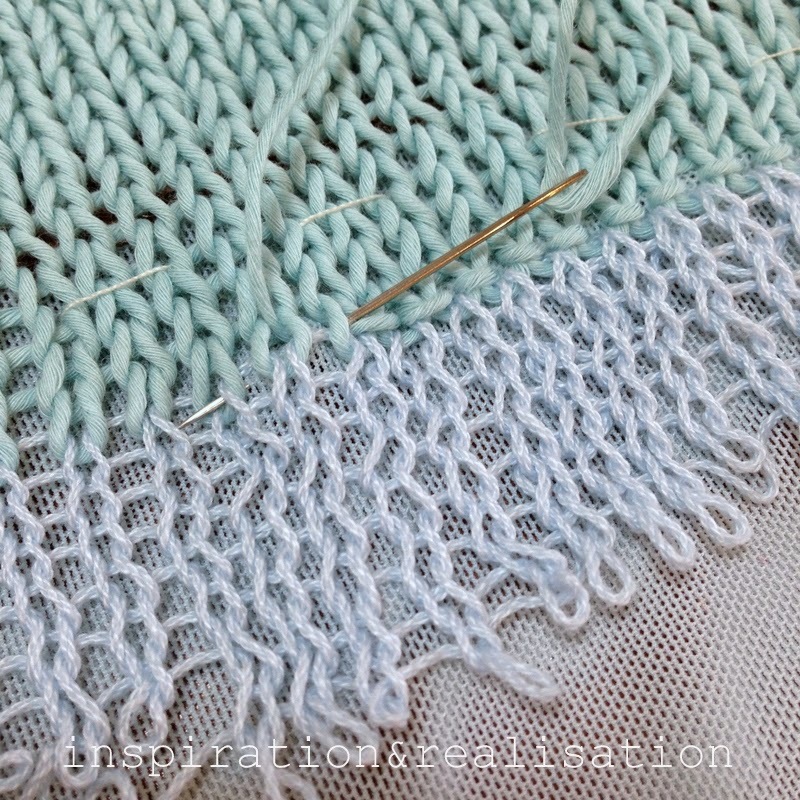 I casted on the stitches in 1:1 ribbing and used the transferring tool to place the ribber stitch onto the next main bed stitch to use the thick and thin yarn every other needle at tension 9 on my brother KH881 machine. The mesh fabric is Nylon Spandex Sheer Stretch Mesh Fabric Aquamarine - which luckily matches almost perfectly the color of my yarn, I purchased a yard of it, and used it double. so I could hand-sew the open stitches with a back stitch. the front and back of the sweater are the same except that I knitted a longer 1:1 rib hem for the back. 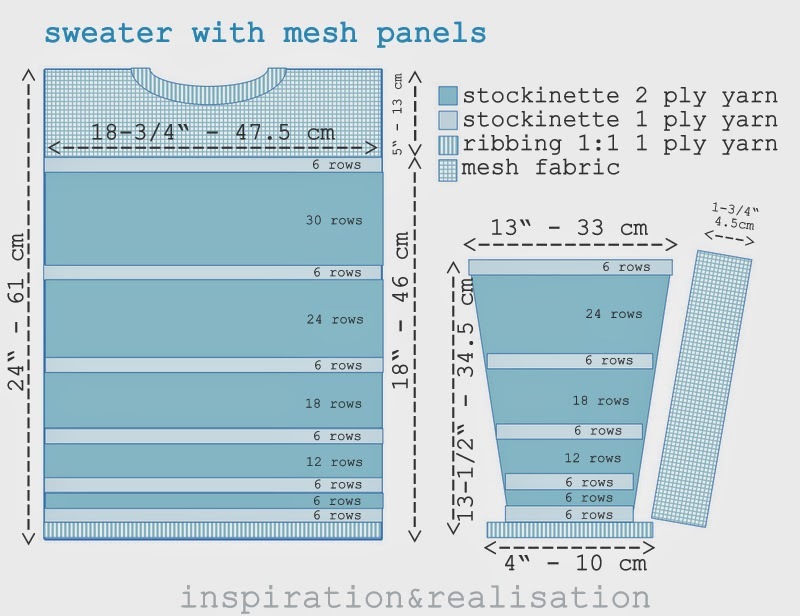 I cut two stripes of double mesh and sewn a french seam on the top at the shoulder line. after the 1:1 ribbed part was done, I put on hold position all the needles except for the 8 needles on the side of the carriage, which I knitted for few rows with waste yarn - then I did the same on the other side. 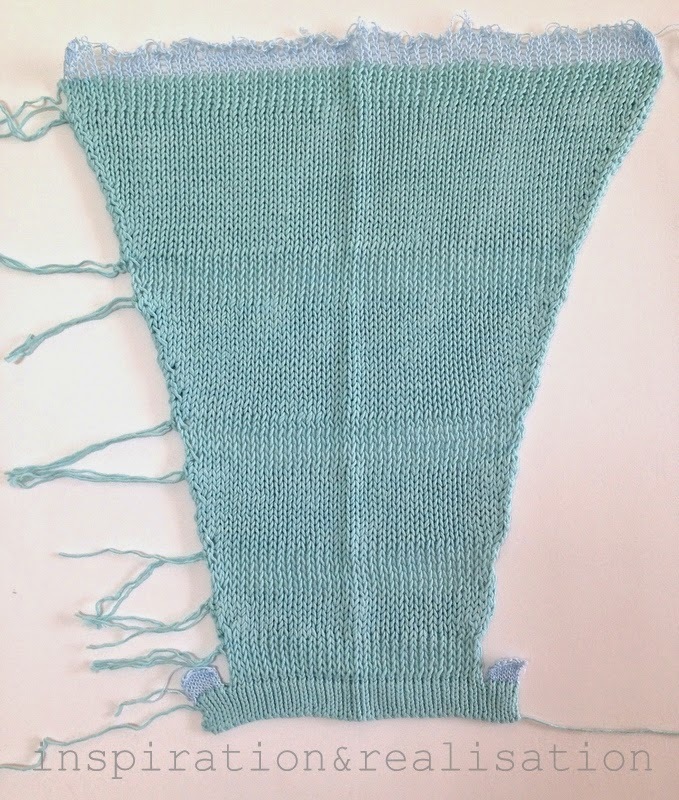 The sleeves are knitted just like regular sleeves, with increases at the sides, but sewn on the sweater backward, so that the increases are on the top part of the sleeve, sewn onto the mesh panel. 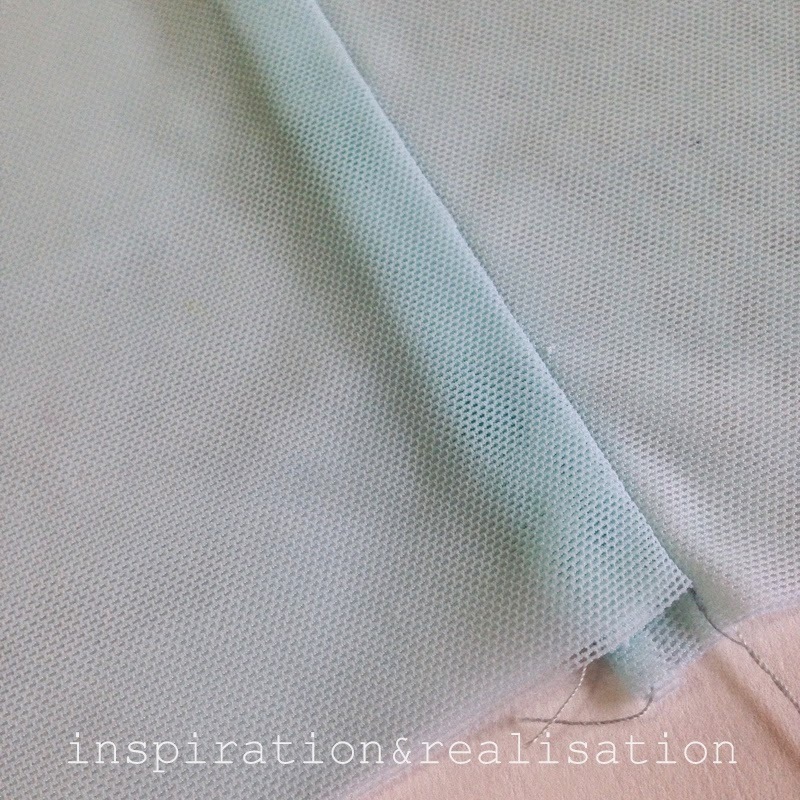 Mesh: leave enough seams allowance - no need to zig-zag or overlock the mesh fabric because it won't fray. This is an extremely easy construction ... except for the fact that my sewing machine didn't want anything to do with the thick knit and the mesh fabric... so I ended up hand-sewing everything... which took me awhile. This turned out great! 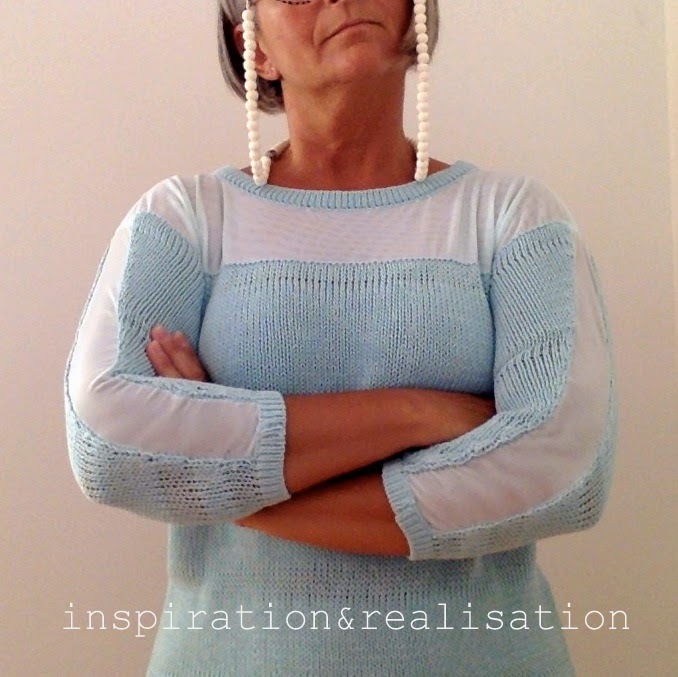 I'm rather fond of that soft mint color and I think that knit-mesh combination was quite successful here. Great concept, expertly constructed. Time, dedication and talent are all shown in this wonderful garment. Well done. Thank you so much for your comment - I really appreciate it!! I really love this diy!